The English Pale Ale has been a long-lasting and inspirational style for brewers; it gave birth to the IPA that is loved by many. But with everything, the pale ale has evolved over the years. The idea of a pale ale was changed in 1979 when Ken Grossman launched Sierra Nevada Brewing Company and redefined what a pale ale was, using American Cascade hop to create the iconic Sierra Nevada Pale. Since that day, Sierra Nevada Pale has been a principle example of the American pale for brewers. This style continues to evolve with new American brewing and hop technics. 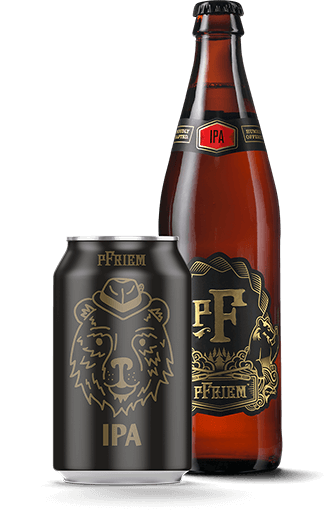 pFriem’s Extra Pale Ale is a stronger version of the classic pale ale style. This beer has more alcohol, hop flavor, and hop aroma then a pale ale, but not as much as an American IPA. New American hop varietals make this beer very fruit forward, juicy, and round. This strong pale ale is bright golden with an amber hue. Fruity aromas of melon, pineapple, berry, and currant. Fresh and juicy flavors of strawberry and gooseberry. Finishes piney and slightly tangy. Mexican food, sweet and sour flavors found in thai and vietnamese cuisine. White fish such as halibut, rock cod, and dungeness crab. Fruit dishes such as chutney can play off the fruitiness of the beer.